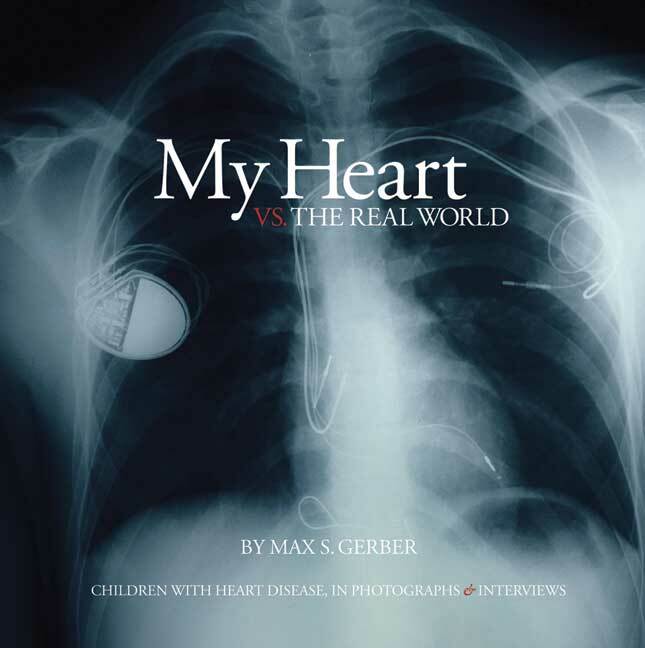 My Heart vs. the Real World is a photo documentary volume that explores the lives of children with congenital heart disease (CHD) through striking blackandwhite photographs and interviews with subjects and their families. Ten chapters each spotlight a single child and in an additional chapter, the author writes about his own experience of growing up and living with CHD. The images and personal accounts reveal how, compared with someone healthy, a chronically ill child develops adult attitudes in a much different way. These are stories of how CHD patients and their families cope with and overcome extraordinary obstacles and learn about themselves during the process. My Heart vs. the Real World is sometimes funny, sometimes sad, always thoughtprovoking, and altogether human. About the Author: Max S. Gerber is a professional photographer. Born three months premature with bradycardia (an abnormally low heart rate), he has had a pacemaker since the age of eight. His pictures have been published in more than a dozen countries, and in prominent periodicals such as Time, Newsweek, The Village Voice, L.A. Weekly, The Sunday Telegraph Review, DoubleTake Magazine and Los Angeles Magazine. View the slideshow and hear the author commentary for My Heart vs. the Real World HERE.